Syncing the iMessage app in iCloud is back in the iOS 11.3 beta. It will now redo a clean installation of iOS when changing iPhone. The first preview of iOS 11.3 given by Apple is enticing, but ignores some new features. One of the most important of these is the iCloud backup of the contents of the Messages application. The first to have installed the beta version of iOS 11.3 have noticed its reappearance, as reported by MacRumors. 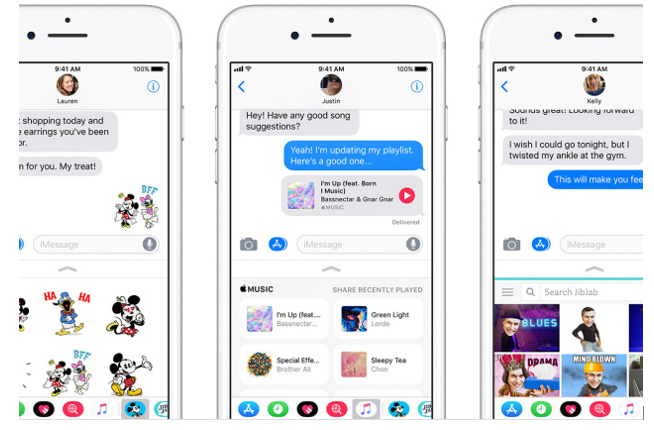 Promised last June during the first presentation of iOS 11 on the occasion of the WWDC, the feature was then appeared in the first beta of the operating system. She was finally withdrawn before her public release. Seven months later, she makes her appearance again. If it may seem anecdotal, this feature may yet be essential. Many users keep all their SMS and messages, as well as the included images. Above all, the only way to keep them from one device to another was to reinstall the same system image every time, with all the bugs accumulated sometimes over months or years of use. With this new feature, we can now make a clean installation for each purchase of a new iPhone and get rid of some bugs and delays. All the content we want can be retrieved from iCloud: photos, emails, contacts or calendars. A discrete feature, but essential.